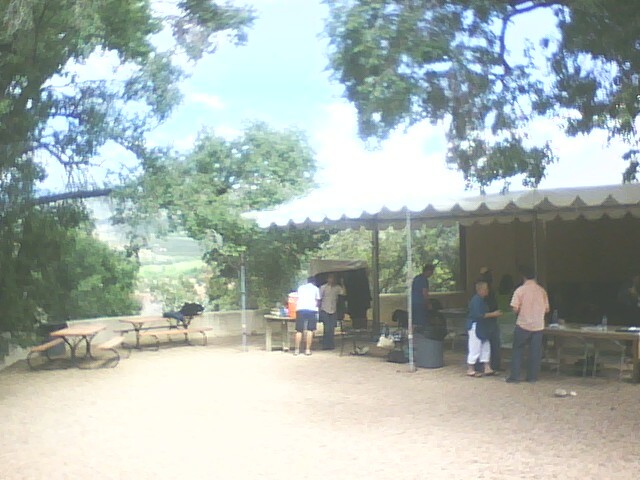 Yesterday’s rehearsal of The Letter took place out of doors. We couldn’t have asked for a better day to go outside and play: the heat wave that rolled over Santa Fe last week finally loosened its grip on the city, and the “ranch” where the Santa Fe Opera makes its home was cooled by a delicious summer breeze. Much to my delight, I discovered as the rehearsal got underway that I was able to pick up a wi-fi signal in the rehearsal shed, so I decided to use my iBook to “livetweet” the proceedings on my Twitter page. By the time we were done, I’d posted more than four dozen updates and received direct messages from numerous readers here and in England (including a couple of Santa Fe Opera staffers who were stuck in their offices). 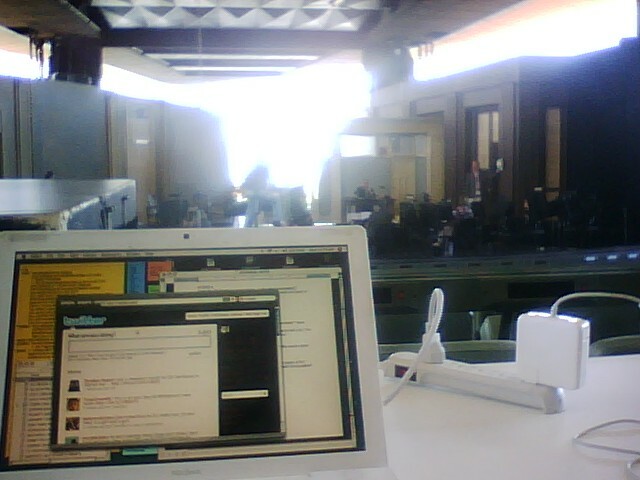 So far as I know, this is the first time that anyone has ever tweeted a running account of a rehearsal for a new opera. In lieu of a detailed posting about Tuesday’s activities, allow me to point you to my Twitter page, where you can read all about how things went. I usually try to work in two shows a day when visiting summer festivals, but my eighteen-hour-long trip to the Oregon Shakespeare Festival left me so frazzled that I decided to take an afternoon off. Alas, the change of time zones made it impossible for me to sleep in, so instead of enjoying the unfamiliar sensation of having nothing to do, I hopped in my rental car and headed off in search of adventure. 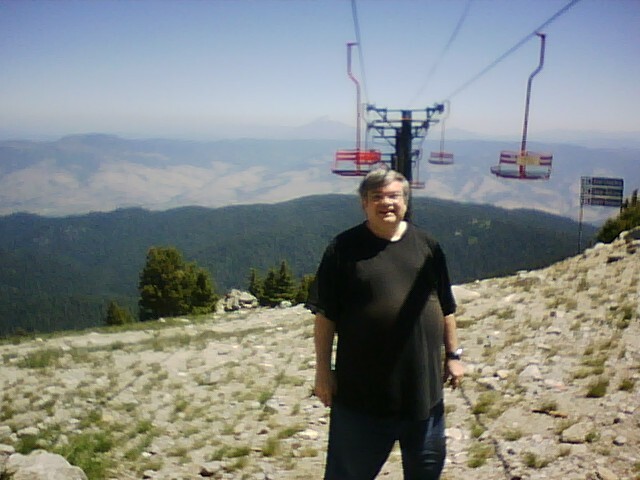 My destination was Mount Ashland, a 7,533-foot-high ski slope eighteen miles from town. The chair lift only operates during the skiing season, but it’s possible to drive to the ski base throughout the year, and I had a feeling that there’d be something worth seeing once I got there. I was right. A sign posted at the base advised visitors that they could drive to the summit of the mountain. I did so–or tried to, anyway. Part of the way up the road, I reached an improvised parking lot, after which the trail became too narrow for anything but Jeeps or off-road vehicles. A second sign informed me that it was a mile and a half to the summit. I saw a family walking up the trail. I locked the car and started following them, and before I knew it, I’d passed them. No water, no walking shoes, no suntan lotion: just me, doing something unplanned, unconsidered, and slightly crazy. The last time I hiked up any part of a mountain was in the summer of 2007, a year and a half after I fell victim to a case of congestive heart failure that nearly did away with me. That impromptu expedition to the top of Clingmans Dome was one of the happiest days of my life, and the memory of how it felt to look out on the Great Smoky Mountains from 6,643 feet above sea level was still so strong and vivid that I didn’t think twice about heading up the trail that leads to the summit of Mount Ashland. Had I paused to reflect on what I was about to do, I might well have changed my mind, since the Mount Ashland trail is three times longer and nine hundred feet higher than the Clingmans Dome trail. On the other hand, I knew that I’d soon be spending three weeks working in a New Mexico opera house built atop a seven-thousand-foot-high mesa, so I figured that I might as well get an early start on adjusting to the altitude. 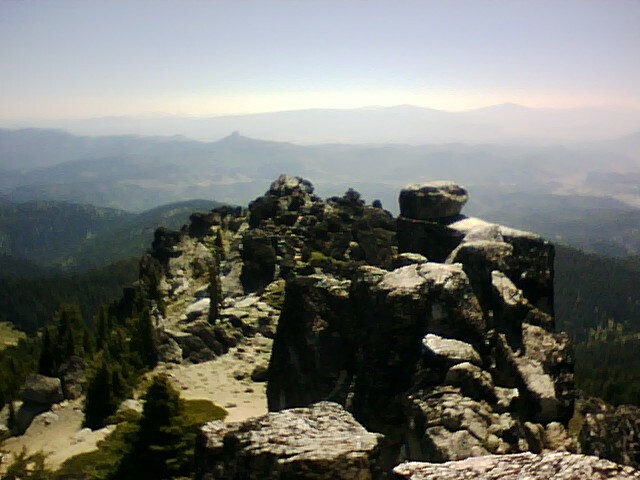 I had plenty of time to reconsider my folly, for it took me more than an hour to reach the summit. I’ve never done anything more physically stressful in my life, and once or twice I gave thought to turning around. 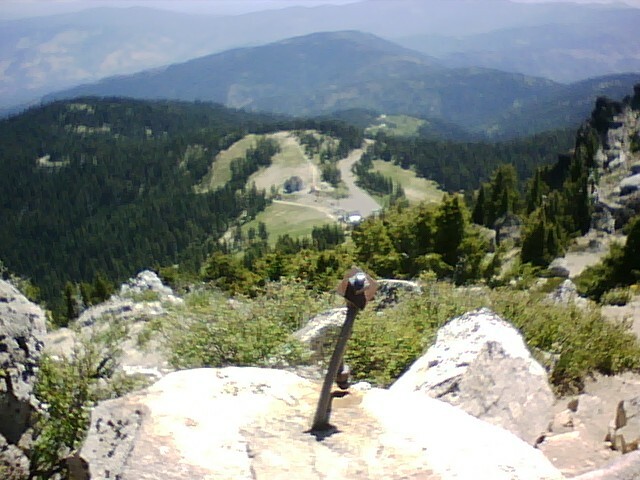 But not seriously or for very long: once I had the bit between my teeth, I was determined to go all the way to the top. Nor was there a time when I felt any worse than tired: no dizzy spells, no twinges in the chest, no oh-God-what-was-I-thinking moments. I stopped to rest at prudent intervals, then resumed my upward trudge, blissfully certain that my body, exasperated though it was by my lack of forethought, hadn’t the slightest intention of betraying me. 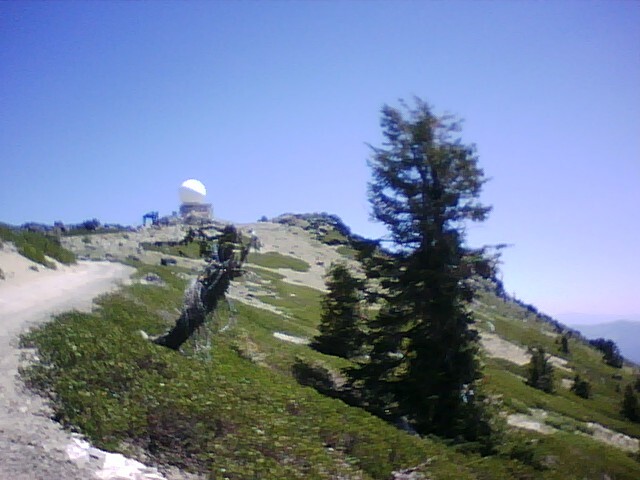 In due course I reached the summit of Mount Ashland, a pile of rocks whose highest point is marked with a round medallion left by the National Geodetic Survey. 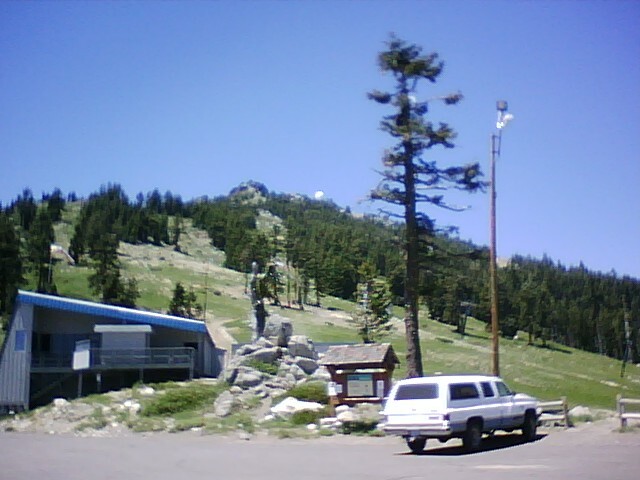 Below it is a giant white radome, the business end of a ski lift, and the entryways to the ski trails of Mount Ashland. No one was there when I reached the top, nor did anyone join me for a good fifteen minutes. 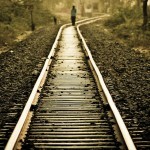 I was all by myself, more so than I ever am in the course of my normal life. No first-night crowds, no chatty passers-by strolling along the sidewalk below my office window, no spouse sleeping in a hotel bed while I peck away on my laptop: no one but me, alone with my thoughts and a cloud of flies that materialized out of nowhere and moved in on me, drawn by the smell of my sweat. I looked down the mountain at the ski base that I’d left behind an hour before. Then I pulled my cellphone out of my pocket and made two calls, the first to my wife and the second to my mother. To both I briefly explained where I was and what I’d done. “How are you breathing?” were the first anxious words out of Mrs. T’s mouth. “You know me too well,” I replied. As soon as I hung up on my mother, I remembered that my cellphone takes pictures. I started snapping them in profusion, certain that no one would believe what I’d done unless I brought back evidence. 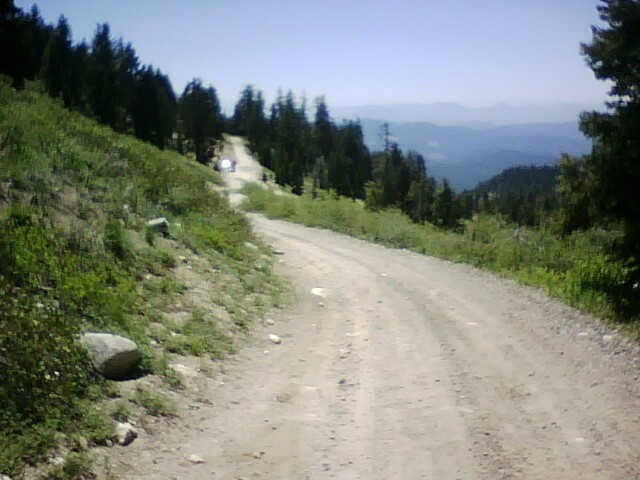 Then the flies finally got the best of me and I clambered down to the ski lift, where I ran into the family that I’d passed on the way up the mountain. The father obligingly took my picture and the mother insisted that I take a long, cool drink out of one of their water bottles. I told them that I’d been in the hospital a few years earlier but was healthy again, and they made over me as if I were a child prodigy. Then we said our farewells and I started back down the trail, grinning like a fool. Half an hour later I unlocked my car and noticed that I’d forgotten to close the window on the front passenger side. Nothing was missing. I laughed out loud, turned the car around, and started driving down Mount Ashland. As I looked in the rear-view mirror, I saw that my face was cherry-red with sunburn, and laughed even louder. The next morning I gazed idly out a window of the plane that was carrying me from Oregon to Los Angeles, and realized with a start that I was staring down at the summit of Mount Ashland. This time I didn’t laugh. I sat in silence and rejoiced anew in the good fortune that has followed me ever since I lay in a hospital bed four and a half years ago, wondering whether my time had run out. 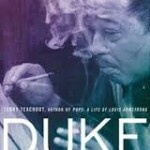 Instead of dying, I fell in love and got married, wrote an opera libretto and a biography of Louis Armstrong, traveled to every corner of America, and climbed two mountains. No matter what the rest of my days may hold in store, I’ll never have any right to complain about what I’ve had so far. Cool, sober murderers of their neighbors’ fame.